In custom dyed navy blue Canvas and trimmed in chocolate Saddle leather, The Macbeth Rucksack has a luxe edge with a rock & roll skull design, picked out in multi-coloured beaded embroidery. Limited edition. In custom dyed navy Canvas, The Macbeth Backpack features a beaded embroidery skull placed front and centre. An original Graeme Ellisdon design, look closer and you’ll see the Macbeth skull is composed of smaller images of moths and stags, oak leaves and birds and other icons of British natural history. Lined in khaki Cotton Twill, the roomy interior has handy leather trimmed pockets in which to stash your tickets and phone and a useful top handle too. The Macbeth Backpack is trimmed in rich chocolate Saddle leather and features a reinforced leather base and adjustable padded straps for comfort. Travelling this summer? Team with The Macbeth Holdall. OSPREY LONDON large A4-compatible/laptop rucksack in navy coloured canvas with Saddle leather trim, sporty contrast stitching and solid metal hardware. 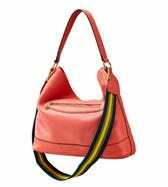 The top of the bag features a flat Saddle leather handle with sporty contrast stitching allowing you to also carry it in the hand. The large, main domed section of the bag is accessed via a double zip with two shaped leather zip-pulls. The roomy interior is lined in khaki cotton twill and features a mobile phone pocket and slip pocket trimmed in Saddle leather and zipped pocket with smart leather zip-pull. On the back of the front flap in the centre of the interior sits the embroidered OSPREY LONDON winged crest. The straps in canvas are reinforced with Saddle leather at the base to provide long-lasting support and can be adjusted to suit the wearer. The corners of each side feature a slip pocket in Saddle leather with contrast stitching and the base is also reinforced with Saddle leather.